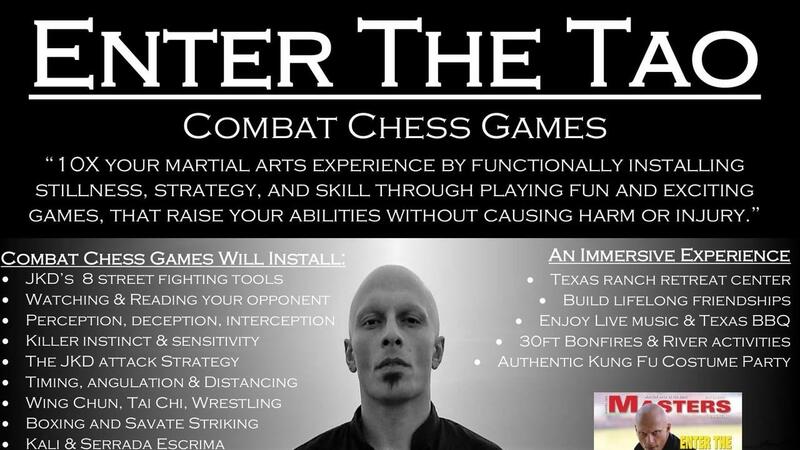 Thank you for registering for the "Enter The Tao - Combat Chess Games", JKDAA Texas Retreat, April 25-28, 2019. El Campo Texas, Hosted by Texas JKD. 3 Days of Training is Included for $349.99 Early Bird Pricing, You saved $100. Bonus Gift - "The Fast & The Furious - The Philosophy of Speed" 3DVD Download from Masters Magazine. $59.95 Value. To get access to your courses, please visit www.SifuSingh.com,. Check your email for Login directions. Your username and password are in your email.